State, regional, and local efforts to mitigate and adapt to climate change are vital, now more than ever, in curbing the most devastating disruptions. When CMAP and CCT invited Foresight to design an expert engagement process to inform a regional climate resilience strategy, we earnestly accepted. Over the course of nine months, in close collaboration with our CMAP partners, we crafted and facilitated monthly meetings that sought to unpack, define, and describe how to integrate a climate resilience lens into regional planning efforts. Leaders from the American Red Cross, Chicago Department of Public Health, University of Illinois at Chicago, ComEd, and Illinois Department of Transportation, among others, contributed diverse perspectives and rich expertise. And, along the way, we all gained a more holistic understanding of our region’s vulnerabilities and opportunities for greater resilience. 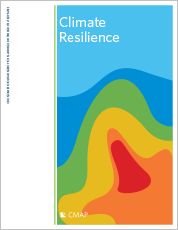 Today, the resulting Climate Resilience Strategy Paper is being used to inform the development of ON TO 2050, the region’s next long-range plan.